Super 8 is good, but it's not unique. 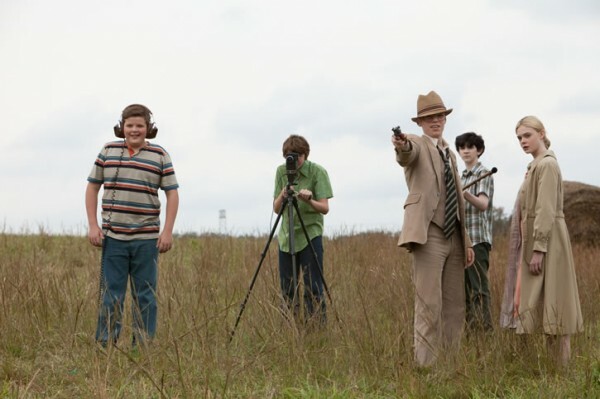 Super 8 is good because it takes the best parts of other great films and pieces them together. They say that imitation is the sincerest form of flattery. If that's the case, then Steven Spielberg should be really flattered. J.J. Abrams shamelessly emulates classic Spielberg films, such as The Goonies, ET, and Close Encounters of a Third Kind. I've had my issues with Spielberg films, but if you're going to imitate someone, Spielberg is a good model to use. Added to the mix are Rob Reiner's Stand By Me, Abrams' own Cloverfield and last year's The Crazies. That said, J.J. Abrams melds the different influences perfectly in this harrowing (and family friendly) tale of alien invasion. The premise is simple, but effective. Plot: It's 1979 in rural Ohio. Walkmans, muscle cars, walkie-talkies, bicycles, Blondie, and shag-bedroom-hair (before Justin Bieber) were in. 12-year-old Joe Lamb (Joel Courtney) has just lost his mom in a terrible factory accident. Joe finds refuge, alongside other tween misfits, by making an amateur zombie film (on 8 mm film) for a local youth film festival. The group has been secretly filming their low-budget zombie flick at night. They contact each other (how else?) via walkie-talkies. Imagine, an age before cell phones. His bossy best friend Charles (Riley Griffiths) is of course the director, while Joe does the "special effects" and the makeup. Both boys have their minds set on impressing an older girl, 14 year old Alice (Elle Fanning). There's always a girl. Proving that acting runs strong in this family, Elle doesn't disappoint. Without a license, Alice "borrows" her dad's muscle car for their transport to their latest film shoot, a train station. There's a somewhat melodramatic back story about Alice and her dad Louis (Ron Eldard) with regard to Joe's family--classic Spielberg cheese. In the midst of shooting their film within the film, something goes terribly wrong--a truck jumps the tracks and hits an oncoming train. The special effects of the massive train crash were incredible in of itself. Fortunately for us, this isn't an ordinary train crash. A creature has escaped from an Air Force train and has been set loose upon their small Midwestern town. It isn't long before the Air Force arrives, which increases the mystery for the Scooby-Doo gang. Joe's father, Jackson (Kyle Chandler of Friday Night Lights) is well cast as the conscientious Town Deputy. Jackson is the story's mandatory good-hearted "Sheriff" and one of the few people to keep his cool. Super 8 starts slow, but the slowness allows the tension to build. When dogs, appliances, and people go missing, the tension builds again. However, at some point the film loses it's momentum. The beautiful buildup of tension slips...badly. 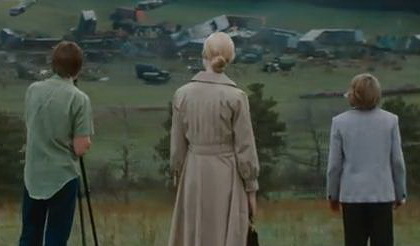 There is no doubt that the influence of Spielberg can be felt throughout the film, especially at the melodramatic ending. Even with the storyline slippage, this is a really good film, if not for the nostalgia alone. Unlike so many other films, this film is driven by story and emotion, rather than pure special effects. Another very interesting opinion from you, Mariah. I'm agree with you, very very nostalgic. Since "Star Trek", Abrams already learned a simple rule that a majority of contemporary movies have forgotten: thrill and action have meaning only when we cares about those characters trapped within the chaos. 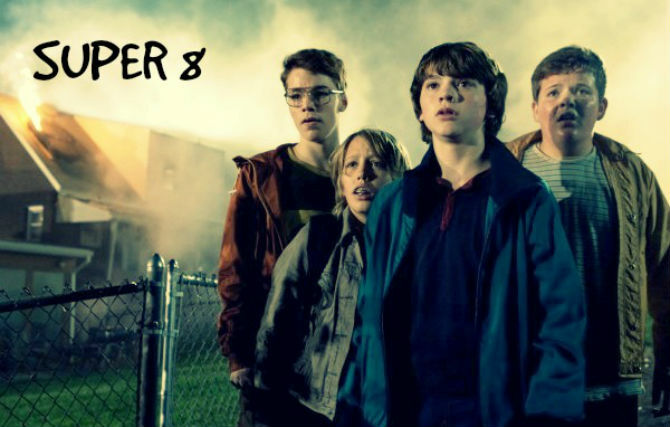 I thoroughly enjoyed Super 8 and cared for all of the characters.